ProFoot has a mission to make you a better you and that starts right from the bottom – your feet that is. 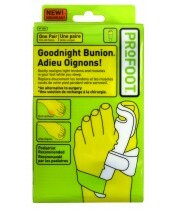 ProFoot provides foot care using only the highest quality materials to keep you pain free so you can be a PRO-you. ProFoot provides insoles, inserts, foot creams and more for everyone in any type of shoe. Their extensive testing and innovation of technology is what allows ProFoot to provide your feet with the care it needs and deserves. Without healthy, happy feet, there is no healthy, happy you; ProFoot products ensure your feet are as comfortable as possible so that you can go all day without worrying. They have products that target different areas of the foot and range from ideal for walking to scaling mountains. Choose ProFoot, you and your feet won’t regret it!